Update 2017: The Karl May continue refusing return of all of the remains. They only agreed to return ONE human remains to a tribe. The others they consider themselves caretakers of, and refuse to respect multiple requests to return our relatives for respectful burial. These photos were taken by and are copyrighted to Mark Worth. Used with previous permission. 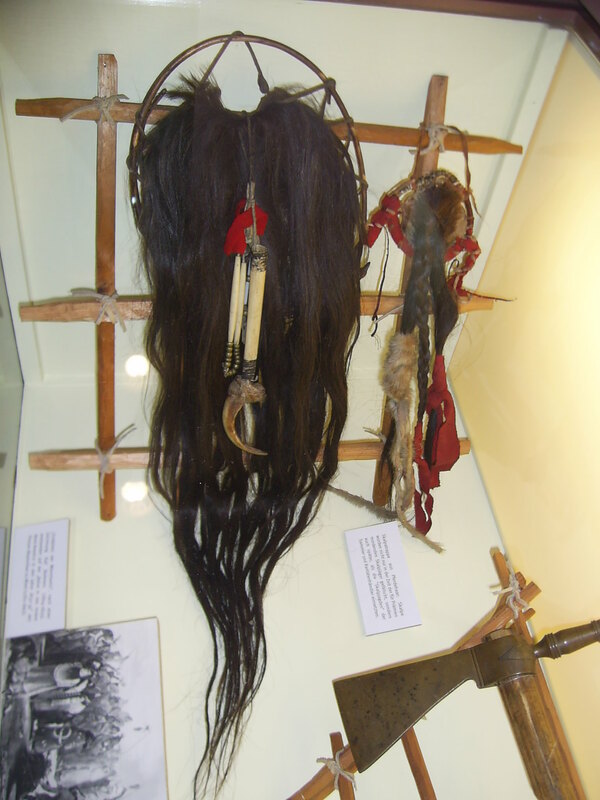 My latest article at Indian Country Today Media Network covering the very “hot and rising” international situation of the Native American scalps on display at the Karl May Museum in Radebeul, Germany. The museum is refusing to return the scalps despite multiple requests by tribes, intervention by the US embassy in Berlin and the UNESCO conventions signed by their country which strictly prohibits such activity. Protests are being planned for their upcoming annual Karl May Festival, 30 May-1 June 2014. Posted in Activism, Announcements, Berlin, Culture, Current Events, Germany, Native American. 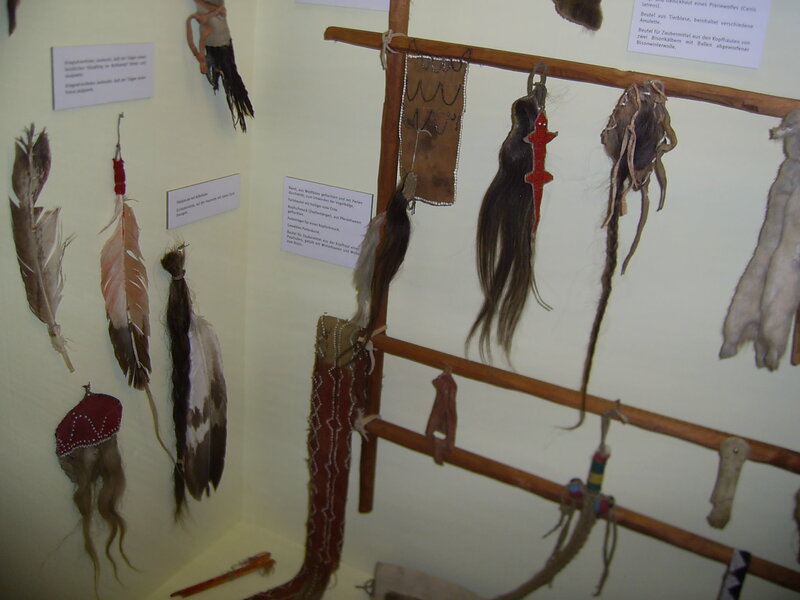 Tagged german unethical behavior, international indigenous issues, karl may museum radebeul, karl may museum refuses native scalp return, native american activism, native american issues, native american scalps, native american topics, red haircrow. I am always happy when people are interesting in learning something about another culture. However, I fail to see how this display of scalps completely out of context enlightens anyone. Such a display of from any other race or culture would not be tolerated. Questions arise as to the source of the collection and its true ownership. The scalps are said to have been donated by a friend of May’s who called themself “Patty Frank.” The thing is, just like at former concentration camps, in the attempt to show latter day repentance for the crimes of their grandparent Nazis, you will find boxes of hair and other human remains. I don’t agree with that either, as for me, I consider it little more than a tabloid spectacle attempt at shocking viewers. Yes, in this case, it is definitely something done to draw fascinated and horrified fans and fearers of Native Americans, which is extremely demeaning especially in that it does not tell the true roots of the practice.